For more information call us now on 0207 6100 500. Laptop not turning on at all. Laptop turning on but showing nothing on screen. Wifi or internet not working. Laptop responding very slow / infected with viruses. Liquid spilled on the laptop. Data recovery from hard drive (unintentional deletions etc). Sound / display not working properly. A client brought a dead Macbook Air laptop to our repair centre. The client’s daughter had spilled tea on the laptop and it was not turning on at all. For liquid damaged laptop it is best not to try turning them on unless a full professional cleanup has been performed as it may damage internal components. It was almost new laptop that was used for less than 6 months. Our hardware engineer disassembled the laptop for full internal cleanup. After cleaning and drying the components, the laptop was assembled again. The good news was that it started to work again but the keyboard failed to work. We had to replace the keyboard for the Macbook Air laptop (as the keyboard is not repairable). The client from Southfields was happy with the laptop repair service. We are based in SW15 and cover all the surrounding areas including Wandsworth, Southfields, Wimbledon, Earlsfield, Barnes, Roehampton, Tooting, Balham, Kingston, Chelsea, Battersea and Fulham. 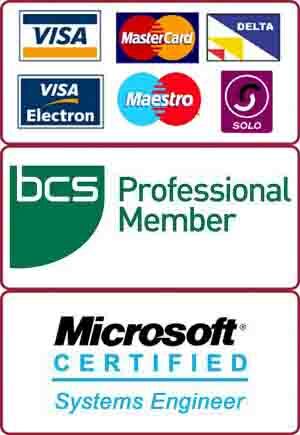 For any computer related problem in and around Southfields, contact us for a free advice. For our in-house service at our repair centre we do not charge for diagnosis and give you a free no obligation quotation. Call us now on 0207 6100 500.